For all the regions above 15N, that is Karnataka and above, I would say the monsoon is done with, and the dry season has set in. Except for the odd shower, on Saturday, I do not see any rain in the region. For the southern states, thundershowers may still pop up over the region. But that is due to the withdrawing monsoon. 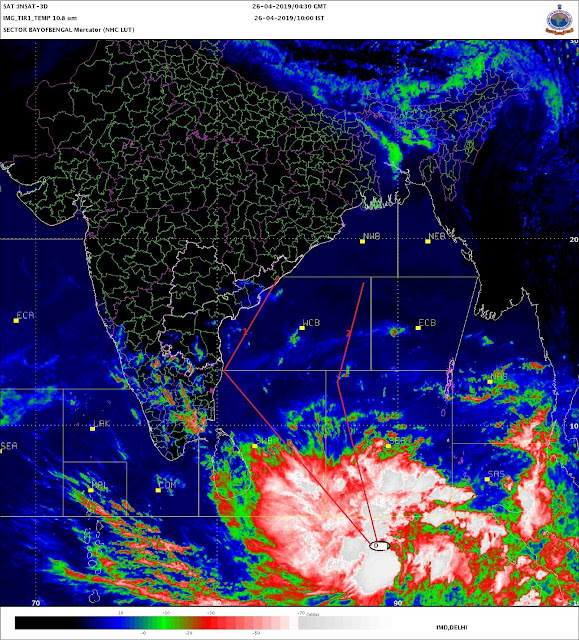 No indications of the low formation in the bay yet, to estimate the north-east monsoon arrival. The IMD map shows the core of the seasonal low at 1004 mb. Would not really call it a "seasonal low". As expected, the nights temperatures in the "non monsoon" areas have started dropping, to a certain extent. In Maharashtra, Pune and Nashik have seen temperatures in the 17/18c range, lower than the 22/23 of the last few nights. Mahableshwar was at 13.9c today morning. In the north too, the average is now in the 17/19c range. For Mumbai, dry weather, and temperatures will be in the range of 33c and 25c. Not much of clouds seen forming, as humidity is dropping.